Tin size: 6&frac58; x 5 x &frac58; in. 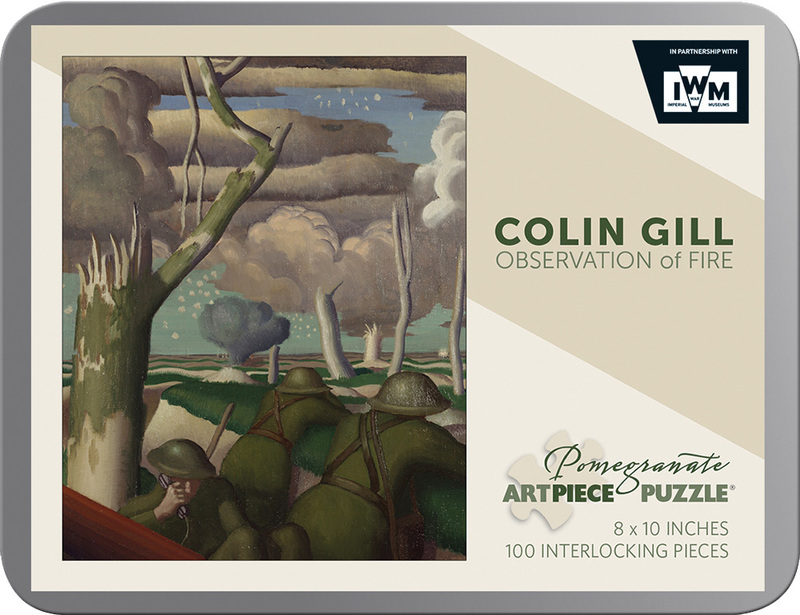 After serving two years as a soldier, Colin Gill returned to Arras, France, in November 1918 as an official war artist. This painting, one of his smaller works, shows three soldiers reporting on the accuracy of artillery fire.